Structurally, the roof on your home or business is one of the most important parts of the entire building. However, it has a lot to offer aesthetically, as well. If your roof doesn’t look its best, chances are the curb appeal of your home or business will suffer. Custom Coating Restoration can help prevent this by providing you with Cool Roof Coating, as well as other sealing, cleaning, and color restoration services in Diamond Bar, CA. We can get your roof looking practically new again and prevent you from having to do a total roof replacement anytime soon. During the day, the sun beats down on your home and the infrared light can cause serious damage to a roof that has not been treated. Custom Coating Restoration is an official Nutech Paint Roofing Professional and specializes in applying Cool Roof Coatings and commercial flat heat reflecting roof sealer in Diamond, CA to block out the harmful rays from the sun. Not only will keep cooling costs down, but it will stop the sun from doing irreparable damage to your roof. Tile, metal, and composite roofs will last for a relatively long time, but you need to do some maintenance to keep them looking their best. At Custom Coating Restoration, we can provide you with tile, metal and composite roof coatings and sealing in Diamond, CA. 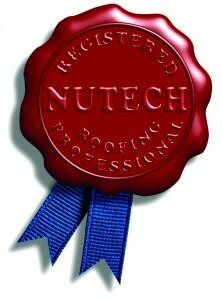 It will instantly improve the look of your roof and stop damage from setting in. Outside of providing a Cool Roof Coating or doing restoration on a roof, Custom Coating Restoration can also do basic but necessary cleaning hauls, like heavy duty power washing for your roof. We offer affordable and eco-friendly roof cleaning and power washing services in the area and can eliminate dirt, algae, mold, and other debris from your roof to improve the overall look. Are you paying too much to keep your commercial property cool? Your roof could be to blame. With commercial flat heat reflecting roof sealing in Diamond, CA from Custom Coating Restoration, your roof will be coated with white and gray silicone roof coatings that will make a huge cost difference in your internal building temperature. The coating will block out the sun and other harsh weather elements and stop heat stress from affecting your roof. If the color of your tile roof has faded over time, there is a very simple solution to bring it back to life. Custom Coating Restoration can do roofing color restoration for tile roofs and restore the color of a roof that has started to fade. This is the perfect solution for those who have a structurally sound roof but are still considering the purchase of a new roof due to color fading. Don’t spend another day looking at a worn down roof on your home or business. Get in touch with Custom Coating Restoration to find out more about our sealing, cleaning, and color restoration services in Diamond Bar, CA. Reach out to us at 800-621-6722 today for help.